From time immemorial there has been a quest to understand the body, mind and soul. Ayurveda is a result of this quest, undertaken by the great sages of India. This science focuses on cultivating a healthy body and mind which enables the soul to experience universal truth, attain liberation and be one with absolute consciousness. Upon arriving at Arogyaniketana Ayurveda Ashrama, you will receive a full intake includiing examination of pulse, tongue, eyes, reflexes as part of your initial consultation. You may also receive other non-invasive procedures that help our doctors understand your unique condition. Our daily treatments include traditional medicated oil massages, detoxification with ghee, steam baths, medicated liquid and/or oil baths as well as other classical detoxification procedures (Panchakarma). You may also receive internal medicines including freshly made herbal pills and decoctions as part of your treatment. Dr. Ashwin daily meets with clients individually to evaluate their progress and answer any questions they may have. Ayurveda emphasizes individual attention as an important part of the healing process. A specialty of Arogyaniketana is that our physicians directly perform most of the treatments themselves. 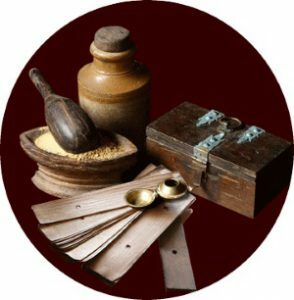 Our experienced Ayurvedic physicians expertly assess individual issues and offer the most appropriate treatments. Receiving treatment directly from a physician is thus highly beneficial. The centre perorms both purificatory (shodhana) and pacifying (shamana) treatments of all kinds. We start with preparatory treatments like snehanapana (oleation) and svedana (fomentation). 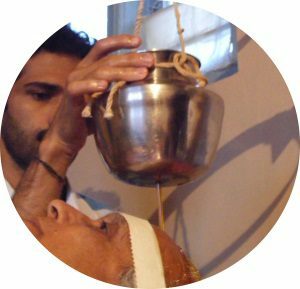 This is followed by performance of the appropriate Panchakarma treatment, choosing from emesis, purgation, medicated enemas and nasal instillation in order to detoxify the body. Apart from this, special treatments like navarakizzhy, takradhara and jalauka. Because Dr. Ashwin specializes in Ayurvedic opthamology, the center is famous for additional treatments like tarpana, sirodhara, karnapurana, lekhana, anjana. The center includes Rasayana (rejuvenation therapy) as traditionally bringing completion to the panchakarma process. Major lifestyle disorders such as diabetes, heart disease, hypertension, obesity and cancer have been treated with positive results at the center. Joint disorders, like arthritic conditions, different rheumatic conditions, disc prolapse, spondylosis, frozen shoulder. Respiratory disorders like asthma, COPD. Skin disorders including psoriasis, eczema. Gastrointestinal conditions like duodenal and peptic ulcer, piles, mal-absorption and parasitical conditons. Urino-genital disorders, such as gynecological and reproductive, infertility, PCOD, BPH. Psychiatric conditions like depression, anxiety and sleep disorders. Eye diseases including degenerative and infective conditions, retinitis pigmentosa, diabetic retinopathy, macular degeneration, myopia, hypermetropia, uvitis; E.N.T disorders like Meniere’s Disease, sensory neural hearing loss, sinusitis, migraine and other headaches. In addition we have treated Autism, Parkinsonism, MS, Motor Neuron disorders, Neuro-Muscular disorders, AIDS, Paralysis, Down Syndrome are some of the rare complicated cases which have sought and received palliative measures at the centre.